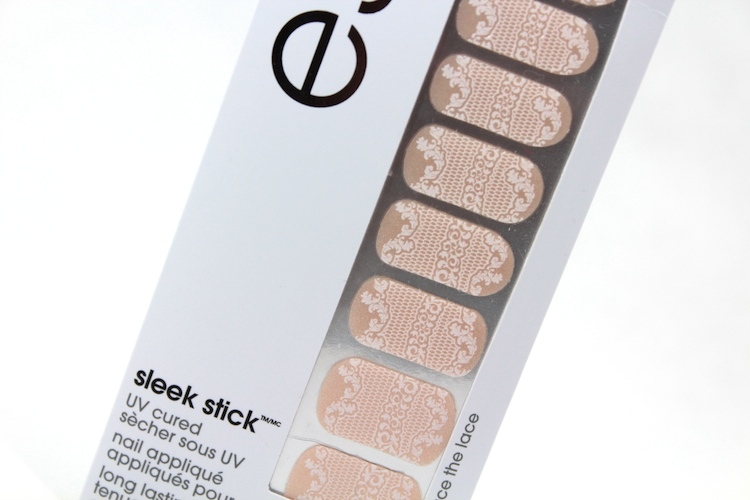 I'm attending a wedding tonight, so I figured this was a perfect time to try out these Essie Sleek Sticks in Embrace the Lace that came in my Summer Luxe Box. I love the idea of stick-on nail polish. No dry time and instant nail art. 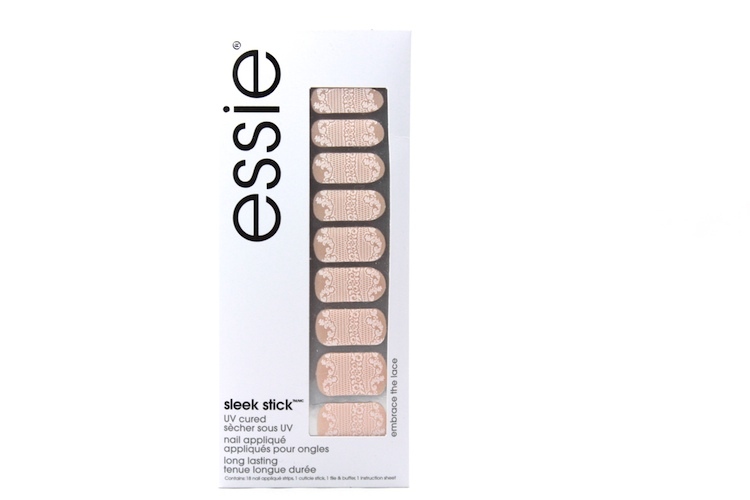 These Sleek Sticks were fairly easy to apply. It came with a mini emery board and a plastic cuticle pusher. I managed to get a perfect (or nearly perfect) sticker fit for all my nails. Although, I did find it a bit more difficult to remove the excess product than other nail strips I've used (i.e. Sally Hansen Nail Strips). These Essie strips felt a bit thicker than others. Perhaps it depends on the design. Nonetheless, I still do like the look of them. They give my nails a baroque feel. They feel lightweight on the nails, just like how two coats of polish would feel. I'd definitely pick up some more of these if a design caught my eye. 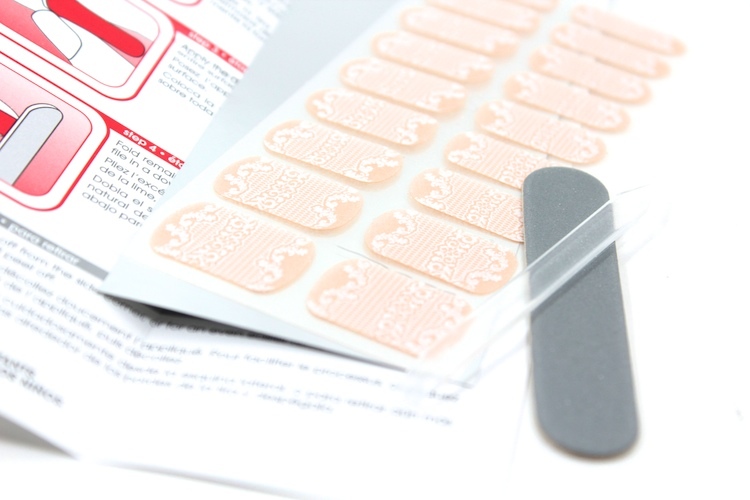 Have you tried nail polish strips before? What's your favourite brand? This looks really gorgeous! Very wedding appropriate :) love it! Love these nail stickers, I have the same ones and are so cute! The strips are definitely something I only use for special occasions, too expensive for anything else! I love the design of these! I've tried nail stickers from Sephora by OPI and OPI, and I do like the ImPress nails :) I've never heard of a Monday night wedding, hope you have a great time! i haven't tried nail strips before but these look amazing!!! so pretty and feminine! need to get one like now..